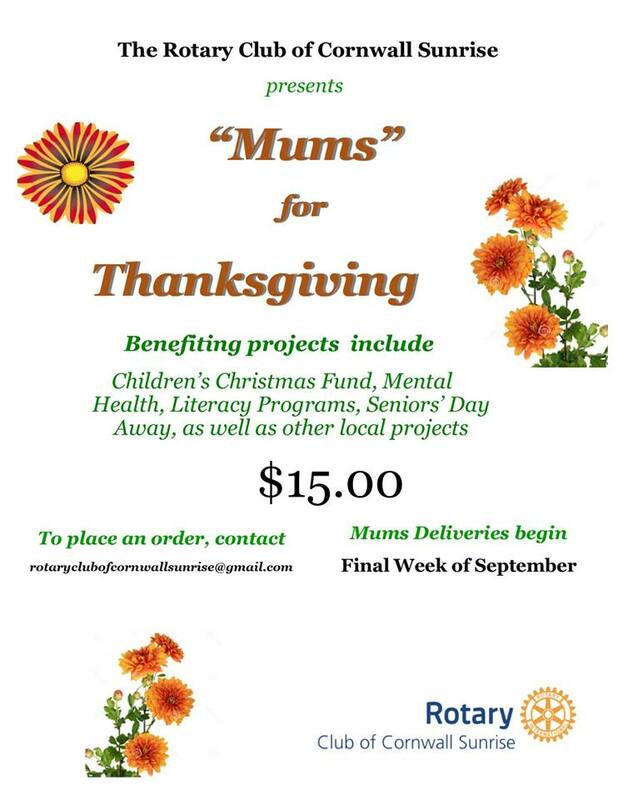 Help our fellow Rotarians in selling Mums for Thanksgiving. Delivery will start the final week of September. Funds raised benefit many projects including Children's Christmas Fund, Mental Health, Literacy Programs, Seniors Day Away, as well as other local projects.